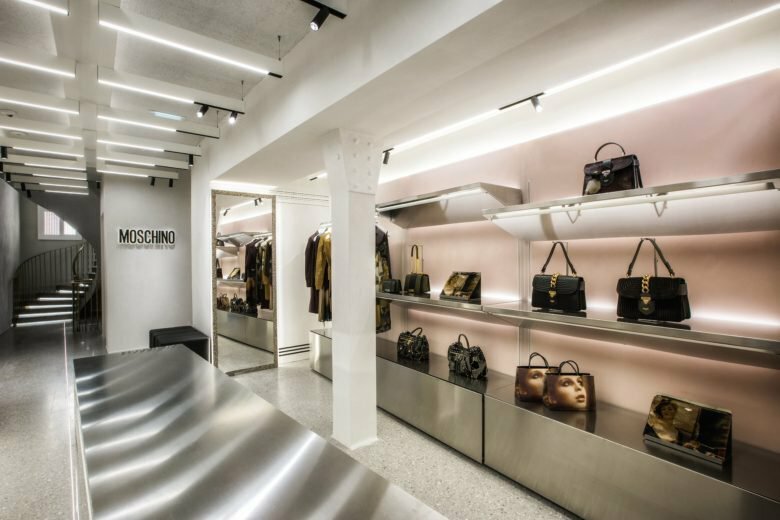 The interiors, designed by architect Fabio Ferrillo, are conceived to highlight the label’s collections and, above all, to enable the store to change its look as Moschino launches new initiatives. 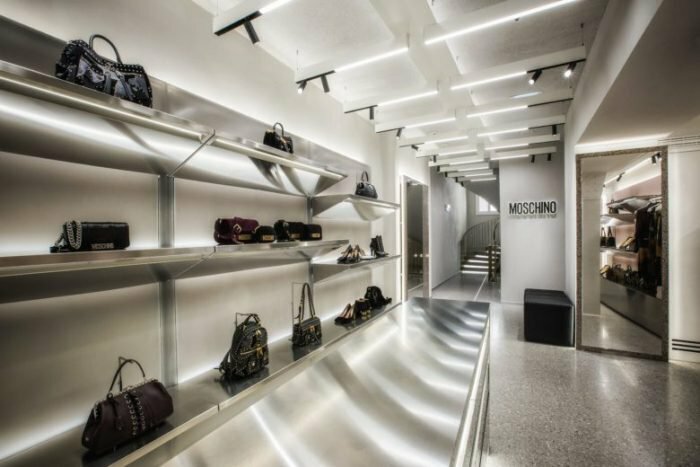 The innovative modular furniture introduces the style of a new generation of Moschino stores. It relies notably on “a modular system of translucent resin panels in delicate hues, designed to set out the removable brushed steel shelves in a flexible, dynamic manner, as well as the closets and the other furniture,” wrote the label owned by Italian fashion group Aeffe in a press release.